It seems the most beautiful pools are not found in the yards of 5 star hotels. Instead, nature has created pools that are far beyond what a man could ever imagine. Take a look at this collection of pool beauties in Europe, Asia, Africa and Pacific. Vol 1 of most beautiful natural pools. 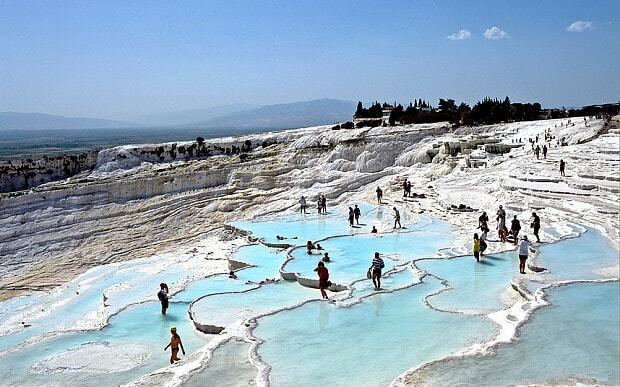 Pamukkale is an amazing display of natural hot water pools in Denizli Province, Turkey. These surreal, brilliant white travertine terraces and warm, limpid pools hang from the rim of a steep valley side like a petrified cascade of a waterfall. 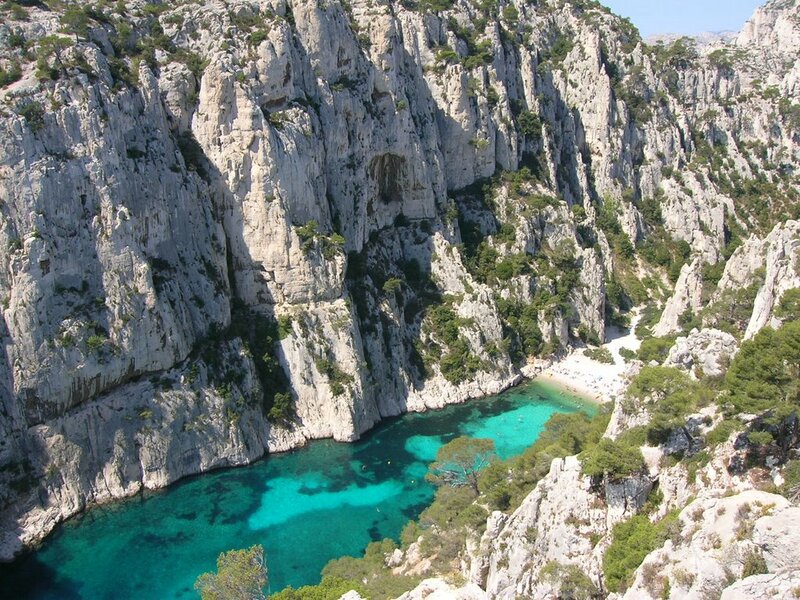 Calanque En-Vau is perhaps the most beautiful calanque in the French Riviera. This astonishing inlet is 400 meters deep and dominated by large limestone cliffs on both sides. The emerald blue water and white sands under cliffs make this bay a tropical paradise not far away from civilization. As the sun hits the bay the sea sparkles in an extraordinary colour. When visiting the calanque, remember to take everything you eat or drink with you, there is nothing there expect the nature. 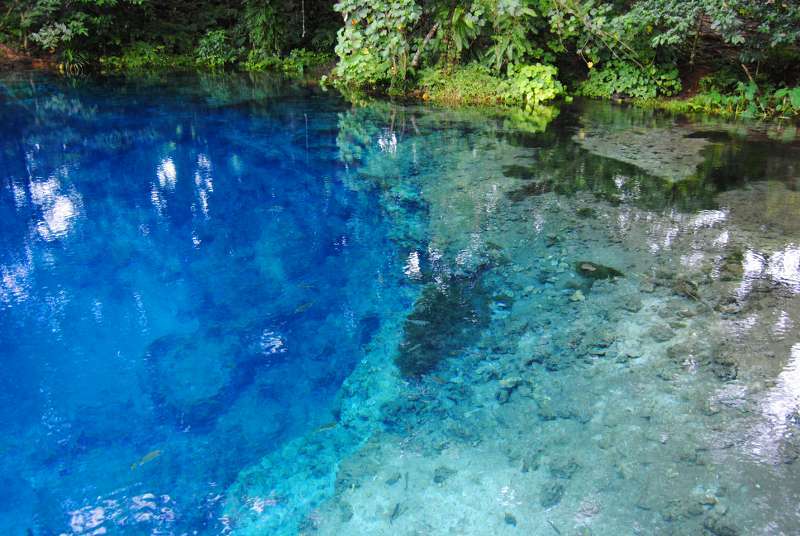 Nanda Blue Hole is the most stunning blue hole in Vanuatu. 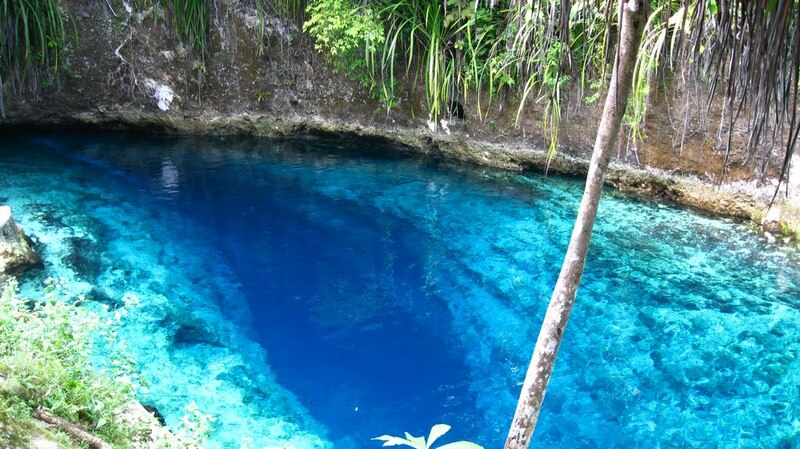 The water of this natural spring is so magically deep blue that has to be seen to be believed. The water flows to the spring through underground limestone caves. As the water in a blue hole is filtered underground through limestone it becomes close to pure. This combined with the depth of the blue hole, create the luminous blue colour. At its deepest, the blue hole is about 13m deep. The spring is owned by a local family that has developed some rustic facilties that fit in with the rainforest surrounding. There is a large under cover area, a bar, picnic area, waterslide and a rope swing with a platform. Devils Pool is the ultimate infinity pool. If you are looking for a taste of life on the edge, this just has to be the place. Only a slippery, submerged lip of rock stands between these bathers and a 100m drop over the world's largest waterfall. The Devil's Swimming Pool is certainly aptly named. 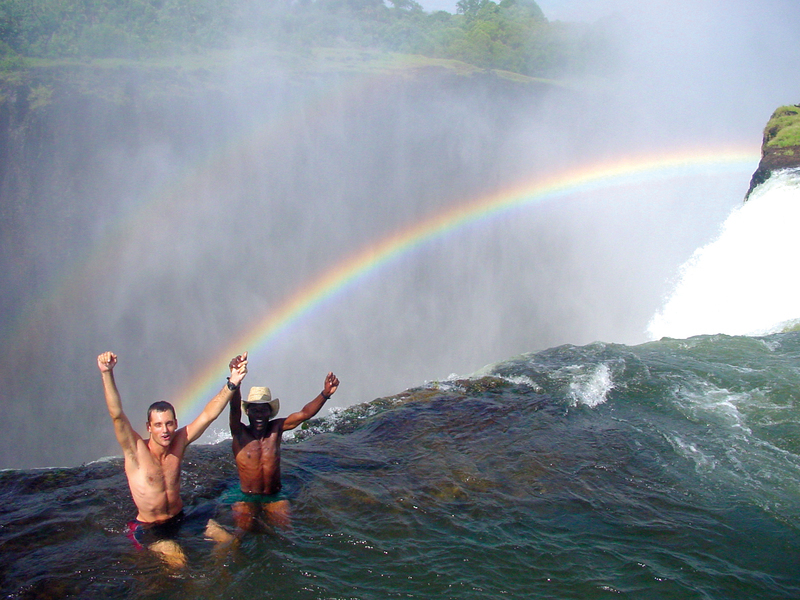 It is a special place on Victoria falls, where it is possible to swim in a pool just above the roaring Victoria Falls. The water level needs to be very low to allow for safer swimming in the pool so it will not be possible anytime. Although variable every year the period when swimming is possible is normally from late August to early January. 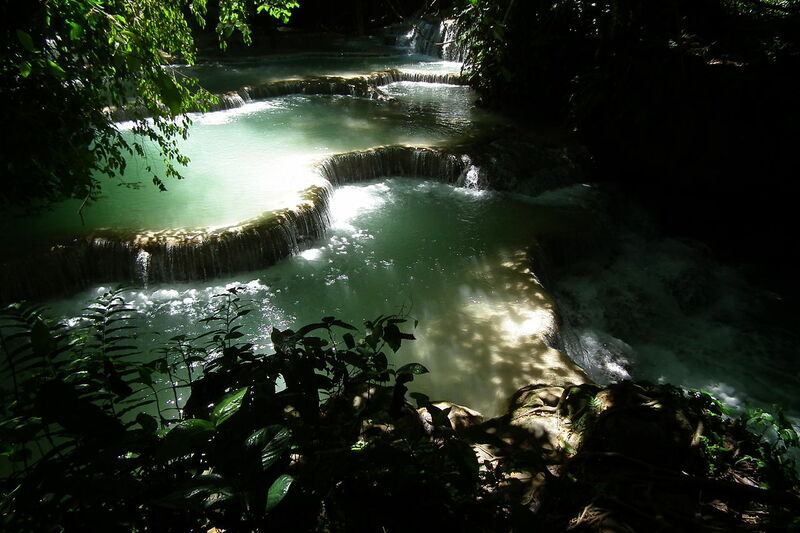 The Kuang Si Falls is a three tier travertine waterfall about 29 kilometres south of Luang Prabang. The falls begin in shallow pools atop a steep hillside. These lead to the main fall with a 60 metres (200 ft) cascade. The water collects in numerous turquoise blue pools as it flows downstream. The resulting cascades are typical of travertine waterfalls. Most of the pools are open to swimming (although at least one is closed as being a sacred site). A magically clear and blue river that springs from an underground cave system. The photos from the place seem photoshopped but once you get there, you understand it is a real thing. The water is salty and springs from an underground cave system which is probably the reason for the extreme clarity. There is no dirt or silt in the cave to cloud the water. When looking at the river it seems that you can easily reach the bottom. This is however just an illusion created by the crystal clear waters, the river is actually deep, 25m at deepest. This cave bridge waterfall ain´t a scifi movie scene. It’s a real limestone cave carved out of Jurassic limestone over millions of years by winter meltwater.